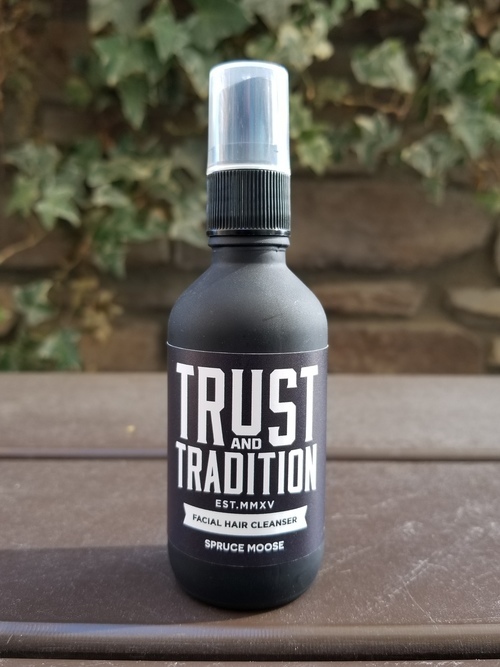 Trust and Tradition "Siberian Rose"
Trust and Tradition "Spruce Moose"
Trust and Tradition "Steel Cut Cedar"
Hand crafted Bamboo Beard Brush with 100% boar bristles. A key advantage of boars hair bristle over synthetics brushes is the natural ability to trap in oil to give an equal distribution of oil within your beard. The shape and size of the brush allows you to comfortably massage and groom your beard with ease. Specially formulated for beard grooming. 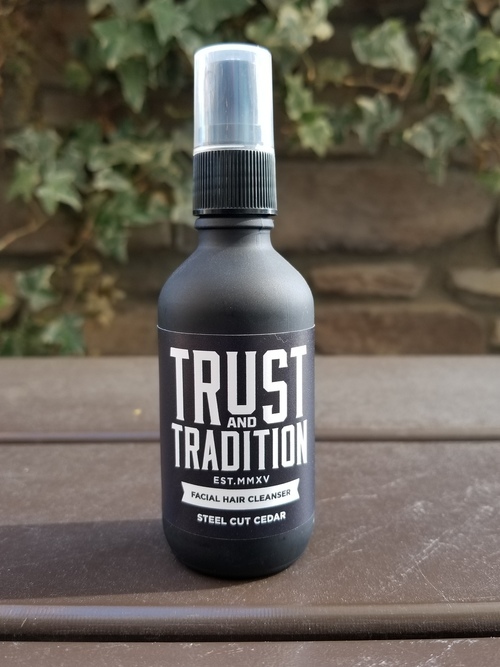 Leaves beard silky-smooth, manageable, and frizz-free. Our unique blend of ingredients are designed to promote beard growth by keeping it healthy, soft, and well-conditioned. Daily use recommended for beard grooming and care. For beards that can’t be tamed by oils alone. Our beard balm applies easily, gives great control, is healthy for your hair, and isn’t oily, greasy, or sticky. This product should be used as a mild cleanser and deodorizer. It is best applied with the help of a comb. Simply spray the solution on your sprouts and brush throughout the expanse of your facial forest. Walk freely smelling and feeling superior. It is labeled as a Beard Oil however, we have many more uses for it due to the Argan oil which we have used for many years ourselves. - Made with Argan Oil to soften and condition hair and skin along with Coconut Oil for it's natural anti-bacterial properties. Tested on Friends and Family! This fine beard oil not only smells great but it also helps to protect your beard and skin underneath. It is formulated to soften the hair, hydrate both skin and hair and prevent itchiness. It does all this without leaving behind an oily or sticky residue that can annoy. 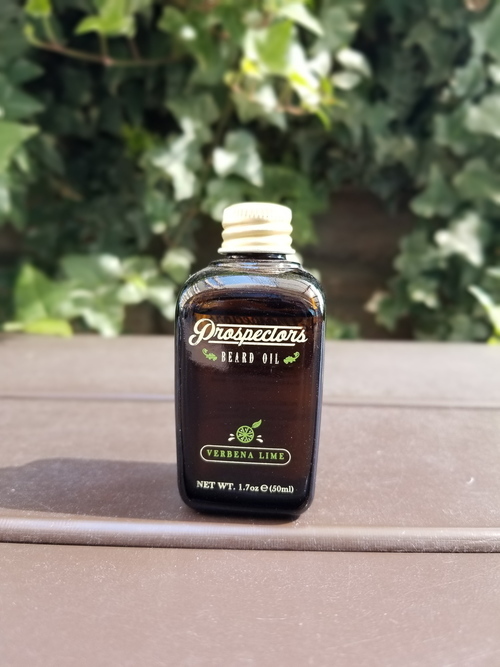 Our oil also contains hemp oil that is great for both the beard and the skin. It helps enhance the growth of hair through the Omega3, Omega6 and Omega9 fatty acids found in the Hemp Oil. We wanted to create a beard oil that does it job without any fanfare. It’s simple. No bull. For the common man. For every man. Directions: Dispense a few drops of beard oil into palms and distribute thoroughly into beard from root to tip. Work through with a comb for a smooth tamed finish. 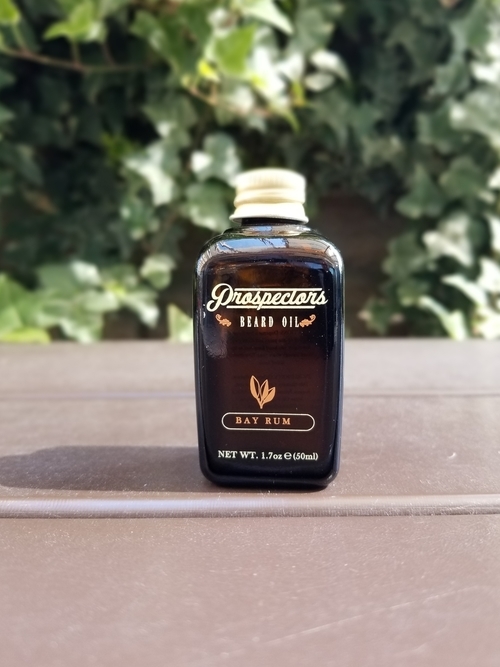 Bay Rum scent: Just like what your grand daddy loved to use, this warm old time bay rum scent is light enough not to announce itself when you enter a room. 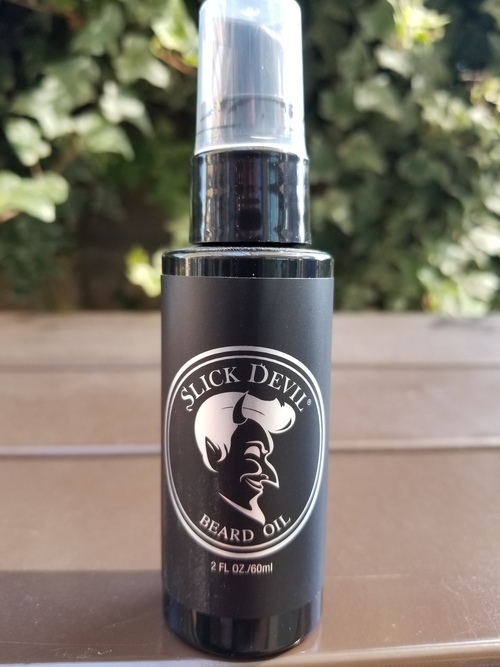 Our awesome beard oil works great at protecting and maintaining your beard health. With it's nourishing ingredients such as hemp oil that contains Omega3, Omega6 and Omega9 fatty acids it goes to work to soften the hair, hydrate both skin and hair and prevent itchiness. It also doesn't leave a nasty oily residue in the hair that can prevent you from touching the beard. This beard oil smells great, works better and is a no brainer. We wanted to create a beard oil that does it job without any fanfare. It’s simple. No bull. For the common man. For every man. Verbena Lime scent: Sweet lime with a kick that will invigorate your senses, wake you up in the morning and pull your sweetheart in closer. 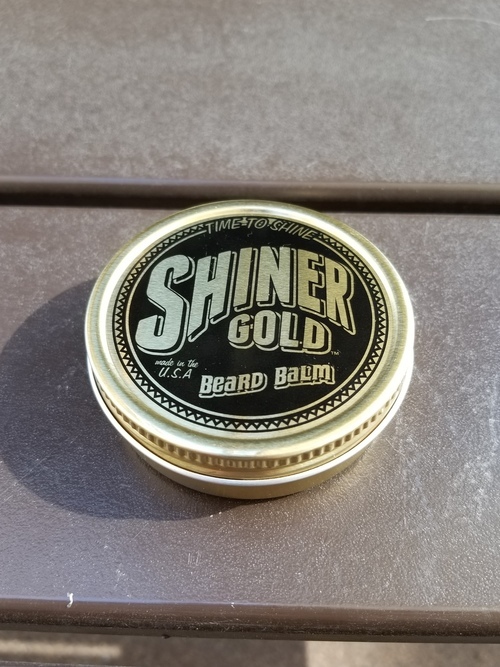 This is a medium shine balm that has the same fragrance as our pomade. Guaranteed to keep your beard soft and glorious! When it comes to beard oil effectiveness, the key is distribution. Just slathering a bunch of liquidy oil on your beard does nothing to keep it healthier. In fact, it has the opposite effect. Liquidy beard oils are often to thin to penetrate to the skin and often leaves the beard looking and feeling greasy all day long. 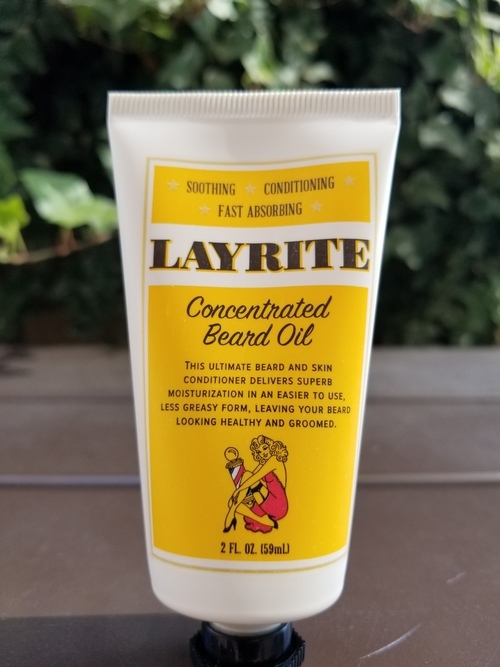 That’s why, in the spirit of doing things RITE, we’ve created a revolutionary, thicker, easier to apply, less woodsy and less greasy beard and skin conditioner called Layrite Concentrated Beard Oil. 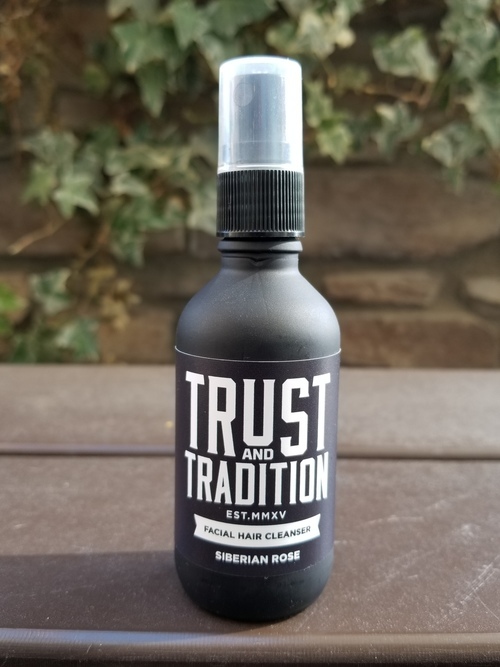 Expertly formulated by barbers, it’s thicker consistency makes it easier to deliver superb moisturization to hair and skin, leaving your beard feeling softer, healthier and well groomed. 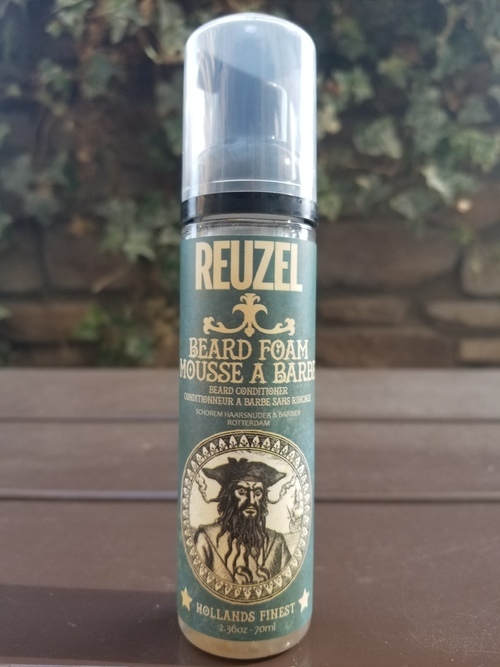 Reuzel’s Beard Foam is a Leave-in beard conditioner designed to deodorize and and your beard and condition your beard. 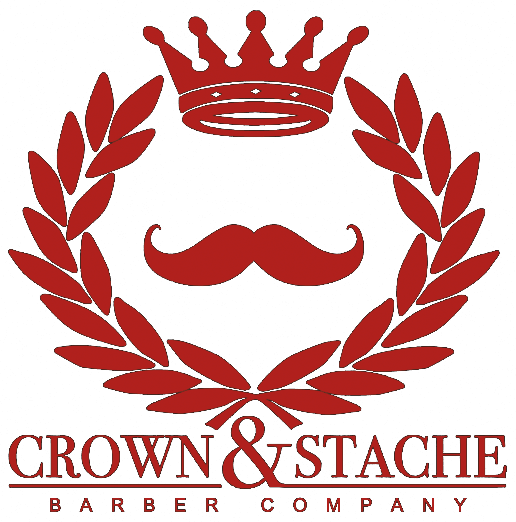 It gives your beard a healthy gloss while making it easier to trim and shape. 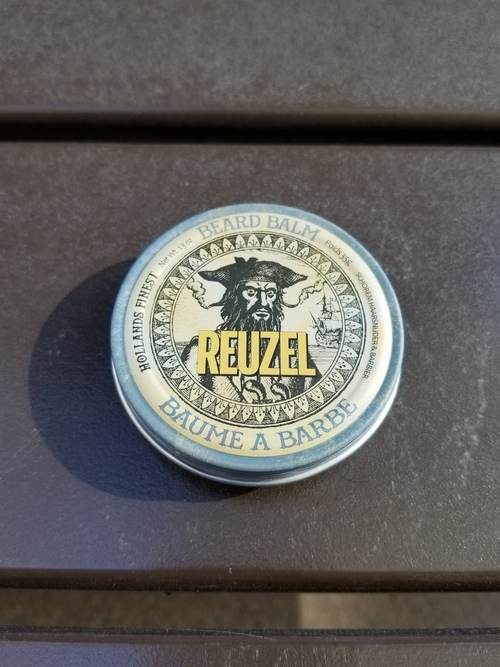 Reuzel Beard Balm is a light to medium hold, multi-purpose balm formulated with Shea Butter and Argan Oil for your beard and the skin underneath. Used to reduce itch, beardruff, promote thicker hair, tame rogue hairs, reduce split ends, and soften coarse hairs. 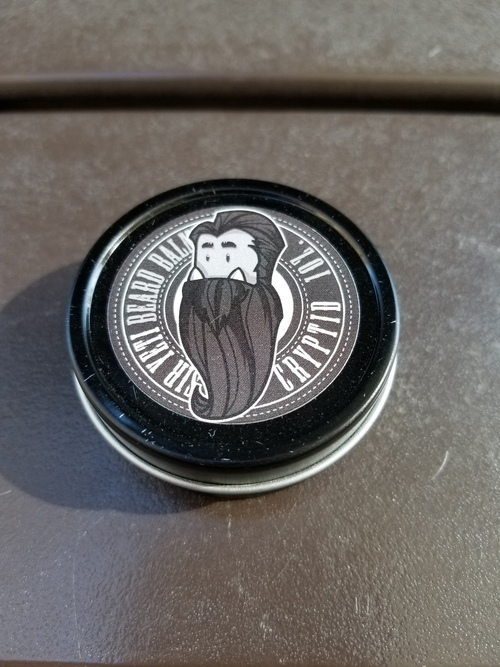 Artistically hand crafted beard balm for your man face beard. Ingredients: Beeswax, Coconut Oil, Vitamin E, and Essential Oils. 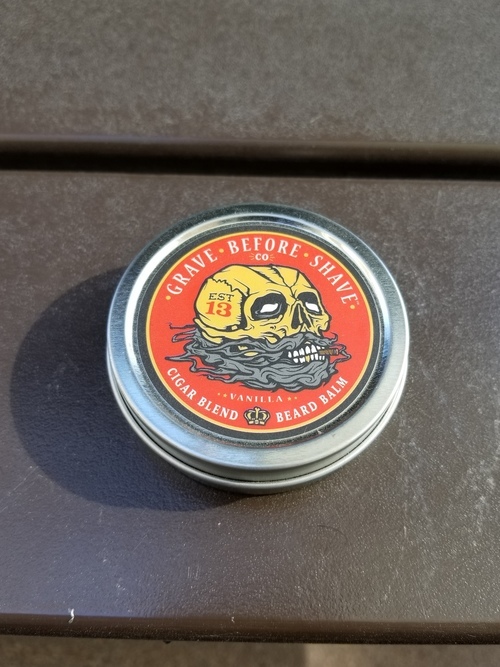 The Grave Before Shave Cigar Blend Beard Balm uses only the finest oils and butters. 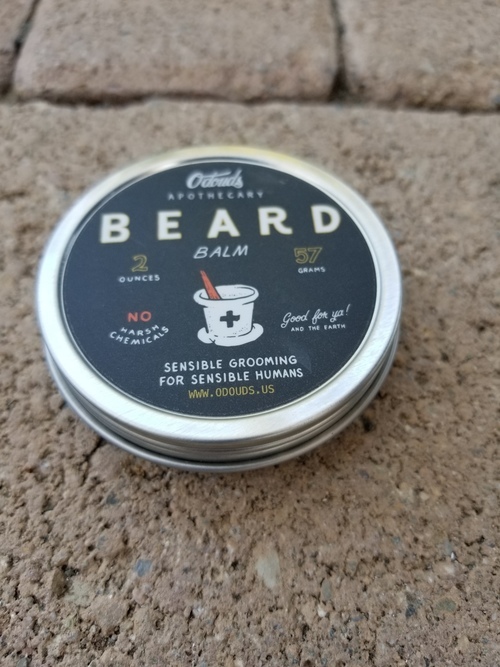 This amazing balm helps you tame your beard reducing those pesky flyaway and unruly hairs, while deeply conditioning and protecting your manly mane! The Grave Before Shave Head Hunter Beard Balm uses only the finest oils and butters. 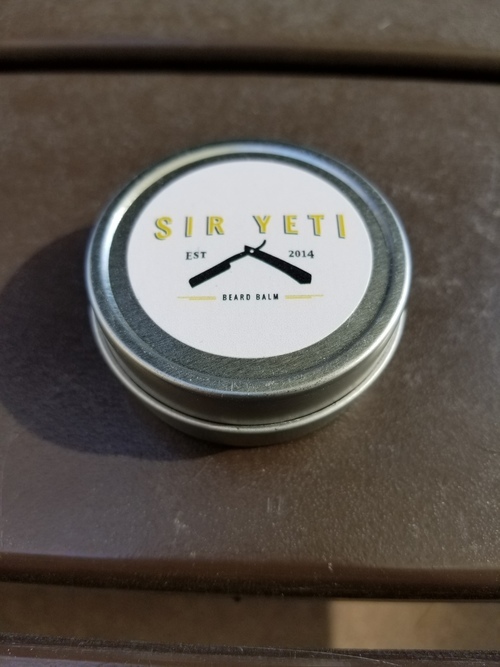 This amazing balm helps you tame your beard reducing those pesky flyaway and unruly hairs, while deeply conditioning and protecting your manly mane! G.B.S. Head Hunter Beard Balm has a Tropical summer aroma that takes you and and your beard on a island vacation… Just beware of the HEAD HUNTERS!! !